There are lots of deep holes in creeks and rivers all along our Natural North Florida Gulf coastline, but few are as easily accessed as Dan May and Barnett Creeks. 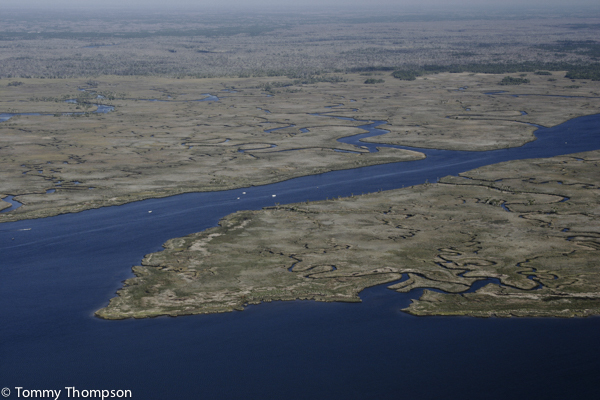 These creeks are big–as big as many of our coastal rivers–and hold swarms of fat spotted seatrout during cold winter days. There are several excellent marinas in Suwannee, each with a first-class boat ramp. 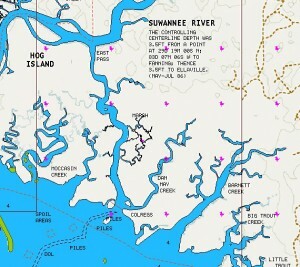 And if you call Miller’s or Suwannee Marina, they’ll likely let you know the best times to fish the creeks! A typical fat seatrout at Barnett Creek! One reason trout get into the deep rivers and creeks of the Big Bend is that they’re seeking warmer water. That comes in two forms–deep water or, in the case of these two creeks, dark bottoms that soak up lots of the Sun’s radiation. That being the case, the best time to fish both Barnett and Dan May creeks is on a rising tide following a very low morning tide. 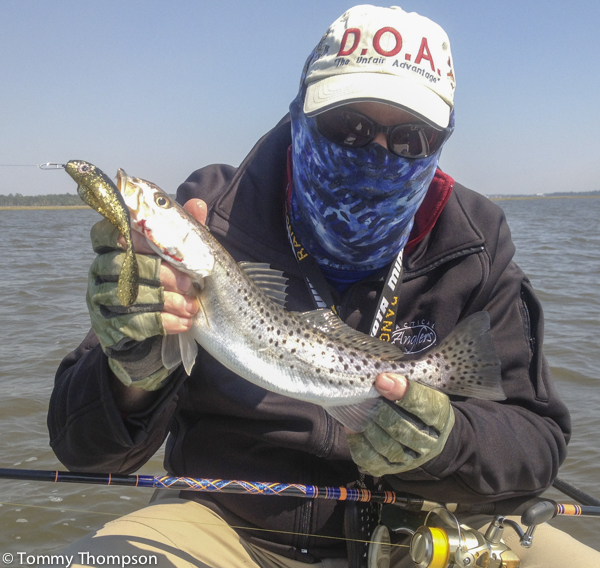 Tactics for successful trout limits vary. Many anglers prefer to slowly troll MirrOlure 52M or TT plugs until they get a strike. Then, they anchor up and cast to what is usually a school of trout. Other prefer drifting and tossing slow-sinking Paul Brown Devils or simple popping cork rigs with live shrimp and jig heads. No matter your technique, once you find the trout in either of these creeks, you’ll soon have a limit–and a tasty dinner! 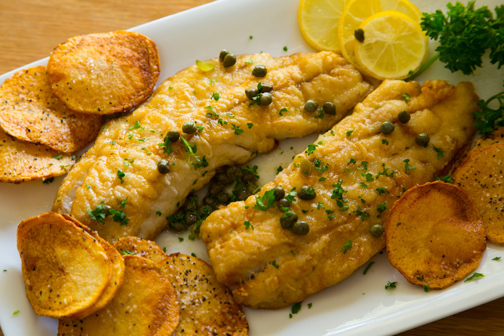 If you’re looking for a good trout recipe, try my Trout Piccata. It’s guaranteed to have your guests asking for seconds!